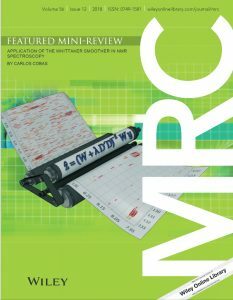 The Whittaker smoother, a special case of penalized least square, is a multipurpose algorithm that has proven to be very useful in many scientific fields, including image processing, chromatography, and optical spectroscopy. It shares many similarities with the Savitzky–Golay algorithm, but it is significantly faster and easier to automate. Its use in nuclear magnetic resonance, however, is not widespread although several applications have recently been published. In this review, the mathematical background of the method and its main applications in nuclear magnetic resonance spectroscopy will be discussed.